Juvenile crimes account for a large portion of today’s criminal activity. In 2010, 1.6 million juvenile arrests were reported nationwide. Due to the high volume of cases and the limited ability to respond effectively to low-level offenses by first-time offenders, the youth court concept was constructed and implemented as an alternative method to handle juvenile delinquency through fair and restorative sentences. By March 2010, 1,050 youth courts were recorded nationwide, serving an estimated 110,000 to 125,000 youthful offenders annually. Developed to promote the concepts of peer shaming, restorative justice and law-related education, youth courts are operated almost entirely by youths between ages 13 and 18, assuming the role of contributing actors in the courtroom process, under strict adult supervision. Youth courts hold juveniles accountable for their actions while helping them to understand the harm that his or her actions may have caused and to make restorations to society. Youth volunteers learn the facts of the case and determine an appropriate sanction based on the nature of the offense, the offender’s understanding of its effects as well his or her needs or talents. Sanctions are developed to repair the relationship between the respondent and his or her community as well as treating the underlying condition which may have led to the delinquent act. Although the goals and concepts behind the youth court ideal appear promising, in practice, youth courts are not an effective alternative to the traditional juvenile adjudication process and therefore should be abandoned as its design leads to violations of individual and constitutional rights. In Kent v. United States (1966), and upheld in In re Gault (1967), Supreme Court held that a juvenile must be afforded due process rights, including right to counsel and self-incrimination. Youth courts violate juveniles’ due process rights by the coercive nature in which they garner participation. Youth courts lack state sanction and are unable to determine guilt or innocence, therefore although youth court participation appears voluntary, offenders must waive their right to self-incrimination and admit guilt prior to participation into the court. Although the justice system is based on the premise of innocent until proven guilty, “voluntary” participation deviates from this as it places both the guilty and innocent under the same pressure to plead guilty based on numerous unknowns including what incriminating evidence may have been uncovered and compiled by the prosecution, how strong the prosecution’s case may be and the possibilities of severe penalties if found guilty. Even if innocent, youth face enormous pressure by court room participants, eager to trim their caseloads, to participate in youth court by threatening them with formal prosecution and possible incarceration. Further, the effectiveness of counsel in juvenile proceedings is essential and case law provides that a juvenile with counsel is not sufficient on its face, but that counsel must be effective, trained and professionally qualified to provide the legal advice necessary during court proceedings. Although youth offenders are provided an attorney, youth counselors are not legally qualified to provide adequate legal counsel necessary to proceed in a fair and just manner. The prosecution has unlimited discretion to refuse to prosecute many of the types of offenses referred to youth court. Since the development and expansion of youth courts, approximately nine percent of juvenile arrests are diverted from formal juvenile adjudication process annually. Therefore, youth courts bring a wider range of offenders under social control by hearing minor offenses, which have traditionally been settled without invoking a court response. Confidentiality is necessary to preserve youth accountability, therefore delinquency proceedings must be concealed from the public in order to prevent youth from experimenting stigmatization. Many youth courts waive confidentiality rights of the offender which fails to prohibit youth volunteers from discussing personal and family matters aired in youth court proceedings, contributing to embarrassment, stigmatization and alienation of youth offenders. 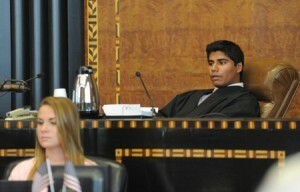 Although some youth courts obligate each youth volunteer to sign an oath of confidentiality of all matters discussed during court proceedings, it cannot be guaranteed that youth, who have been deemed more immature than adults by the Supreme Court, will not discuss such sensitive and confidential matters outside of the courtroom. Public disclosure of youth court information may hinder the youth’s ability to obtain meaningful employment or attend the college long after the youth has been rehabilitated. Youth courts violate equal protection of juveniles through eligibility requirements to enter the program. Judges and prosecutors involved in the referral process are given a broad discretion on which juveniles may be offered the option to participate in youth court versus the traditional juvenile adjudication process. Freedom of discretion may lead to more serious issues as it is vulnerable to social, racial or ethnic discrimination. procedural regularity that comes with case-by-case discretion produces gross partiality and the legitimacy of the program. Few comprehensive evaluations of youth court programs currently exist to provide evidence of the plethora of benefits and successes that youth courts advocate. 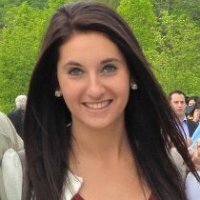 Although studies have demonstrated that compared to traditional adjudication, youth courts decrease recidivism while increasing the percentage of sentence completion, it must be noted that low recidivism may be attributed as much to the type of youth entering the program than to its actual effectiveness. The net widening effect produced by youth courts allows youth to enter the program who would traditionally be excused from participation in the criminal justice system. Studies reporting success must be scrutinized as methodological limitations have led to inaccurate portrayals of success. Youth court successes are largely anecdotal and derived from favorable media coverage and the positive impression of parents, teachers, court staff and youth involved in the program. Policymakers, the legislature and the public must determine if youth courts are worth the millions of dollars spent annually on its operations. Although arguments of its effectiveness have ensured its continued budget, there still remains a limited array of research to support this claim. Therefore, the lack of proven effectiveness of the program, along with its net widening effects and violations of individual rights as stated in the Constitution, indicates that the implementation of youth courts as an alternative sanctioning program for juveniles is not cost-effective and must be aborted.